In this report, we prepared for the first time the orthorhombic Dy1−xHoxMnO3 single crystals with x = 0, 0.1, 0.2, 0.3, and 0.4 using the flux technique. The post-growth processing and chemical and structural characterization of the synthesized samples were performed. 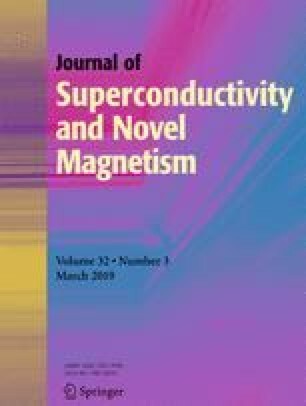 Also, we examined the samples obtained by their magnetic properties and the magnetic anisotropy in wide ranges of temperatures and magnetic fields. The reported study was funded by Russian Foundation for Basic Research, Government of Krasnoyarsk Territory, Krasnoyarsk Regional Fund of Science to the research project: “Research, synthesis and investigation of new oxide single crystals showing the interrelation of magnetic, magnetoelastic and magnetoelectric properties” (project № 18-42-243024).